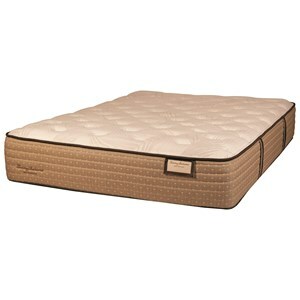 The Tommy Bahama Shake The Sand Firm Queen Firm Luxury Mattress and 9" Amish Hand Crafted Solid Wood Foundation by Tommy Bahama Mattress at Baer's Furniture in the Ft. Lauderdale, Ft. Myers, Orlando, Naples, Miami, Florida area. Product availability may vary. Contact us for the most current availability on this product. 600HP-Q Queen 9" Amish Hand Crafted Solid Wood Foundation 1 9"